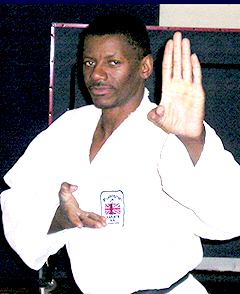 I started training in karate over 25 years ago and I have been teaching others for over 16 years. It began when I saw a Bruce Lee film and loved it. Karate is much more than self defense to me, it’s my way a life. It taught me to take pride in what I have have worked hard for. It has boosted my confidence and self awareness dramatically. I was trained under Sensei Don Hamilton, Don Blainey, The ultimate in traditional karate Ken Dicks, and World Karate Champions Jerome Atkinson and the late Livi Whyte, all under the Fudoshin Karate Kai wing. The Ryoku Centre originally as a karate school and it’s primarily still is, but as I got further into it, I realized that this could be so much more, not just for me, but the community at large. With this in mind I expanded it into a Martial Arts School as well as offering other facilities like fitness, dance, kid’s parties, room hire and much more. The Ryoku Centre has become the place where you can be comfortable of who you are. Many have joined our friendly, fun training atmosphere with low self esteem, low self confidence and low self belief. However from the first meeting you can see the changes, and this is acheived by the way we all support each other and by the way we respect each other no matter the race, gender or age. By taking the first step to come and see what we offer is the first step of changing who you are and what you want to achieve.